In today’s world of consumer content, it can be difficult to stand out. Many companies spend a great deal of time and money developing content but few truly understand how to connect with readers by developing a point of view (POV). A point of view is a valuable content strategy that allows companies to tap into the minds of consumers. Since consumers are generally more connected to one another than they are to a company, developing a business POV is a great way to market directly to customers and increase relateability. Additionally, a strong point of view is a great way to brand your company as a positive, enlightened, progressive force in your industry. When it comes to marketing, a point of view is the way that a brand views the world and looks at certain situations. A strong and well-developed point of view gives a brand’s product personality, authenticity and individuality and makes it easier for customers to access. Companies around the globe are focusing on their company’s point of view. Many times, POV is displayed in a company’s stance on important cultural or social issues. Customers want to know how companies feel and what drives their product. When customers can relate to your point of view, they’re much more likely to be loyal to your brand. With this in mind, it’s obvious that a well-defined POV is a strong and valuable way for companies to boost their interaction with customers. Customers today are very driven by values and they want a product that feels the same. For example, after H & M was named one of the world’s most ethical company in 2014 on the basis of corporate and production standards, business boomed. This is because people are more likely to buy from companies they admire (think of how many people have boycotted big box stores due to low employee wages, utilization of sweatshop labor for product production and poor working conditions.) Customers care about what the companies they purchase from stand for and are more likely to feel familiar with and fond of companies that exhibit a POV that aligns with theirs. 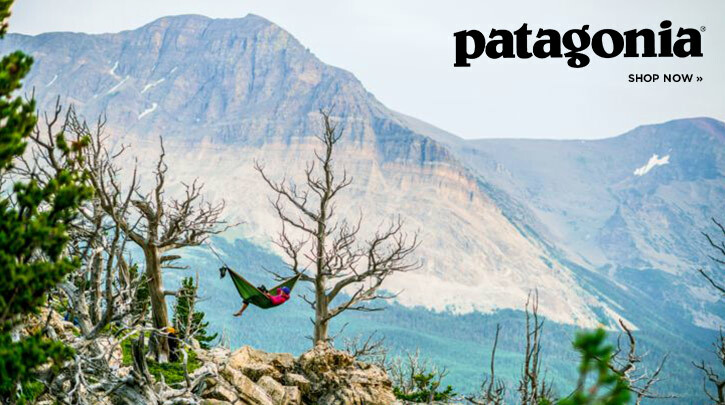 Patagonia, a well-known outdoors and lifestyle clothing and gear brand, has exemplified the power of a POV for years. Patagonia has made it clear that they care about organizational responsibility, paying all employees and production workers a living wage, fair labor practices, safe working conditions and sustainability in a series of well-written position statements. The POV is plastered all over their site and appears in everything from their product descriptions to their catalogues. By aligning themselves with this POV, they have managed to succeed hugely in connecting with high-income, like-minded customers. Additionally, this eco-friendly, ethical POV has made them a leading provider of active wear for a variety of outdoor events and allowed them to fund like-minded environmental work, which only serves to further establish them in their field. Known for its web-wide call for Microsoft to undo aggressive and limiting user overrides, Mozilla has become a folk hero in the arena of the open web movement. 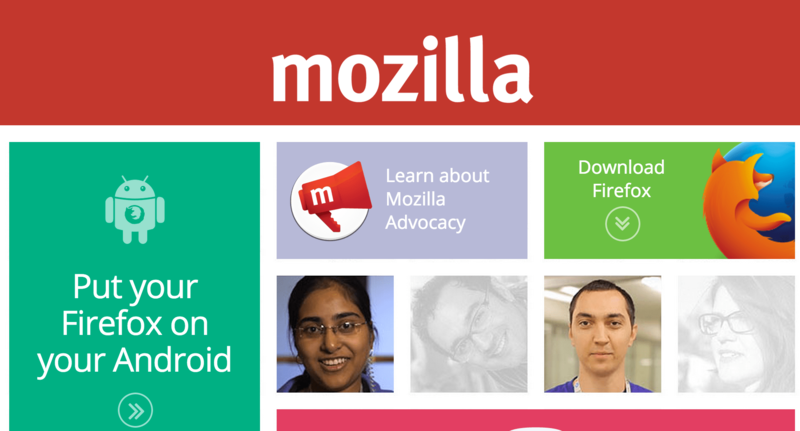 Thanks to its strong POV, Mozilla, once a somewhat obscure name, has now become a virtual beacon on web freedom and user choice. It is clear that Mozilla’s prerogatives includes values like choice, control, opportunity and equality for all web users and the company even goes so far to state that they established themselves as a non-profit in order to better deliver these things to users. Because they are so outspoken about their insistence on user choice, Mozilla is likely to draw like-minded web users who are dissatisfied with other available services. Anyone who has ever read a biography about Steve Jobs understands that he built Apple (now one of the most valuable companies in the world) on the power of POV. Jobs believed from the get-go that consumers would want a product that was beautiful, sleek, intelligent and unique and he was right. Additionally, Jobs was obsessively focused on the intersection between art and technology and the way in which that intersection created a product that was well suited to make a definable difference in the world. Nowadays, Apple consistently dominates brand polls and has built up what may possibly be the most loyal customer base in the entire tech industry. This is no accident, of course, and owes largely to the fact that Apple has always been brilliant at defining its POV: innovation, intelligence, beauty, and creativity. As a result, consumers attracted to the same ideals and wooed by Apple’s marketing, production and technological scruples have fallen hard for the brand. Apple is and has always been great at helping their customers understand exactly what they stand for, and – notably – what they don’t. Apple customers feel like they know the company and, as such, they’re loyal to every single product the tech giant produces. Developing a POV is a sure-fire way to go beyond content and ensure that your company is truly making an impression. This, in turn, is the only way to ensure that customers don’t immediately forget about your brand or product as soon as they leave your site or store. A definable, well-written POV goes a long way toward ensuring long-lasting business and earning returning, loyal customers. A large part of an effective POV is ensuring that your message applies to your customer. Much the same way nobody enjoys talking to a self-obsessed blowhard, customers don’t want to hear endlessly about what you do and why it’s so great. Keep in mind that they do need to understand exactly how you do what you do, as in the earlier Patagonia organizational responsibility example and, specifically, their pledge to protect migrant workers. Customers need details, yes, but primarily they need to understand how what your company does affects or benefits them. The bulk of all of your POV content should be dedicated to providing useful information and statistics on topics of interest to the consumer and helping them to see how, exactly, your company’s POV can benefit their lives. Are your clothes more sustainable? Longer lasting? Organically sourced? Focus on the benefits to the customer and the customer will love your brand in return. The entire purpose of a POV is to tap into the community at large. Who else is in the conversation and how can you join them? One great way to do this is by creating content that taps into the larger conversation (Apple could write about tech concerns, for example) that customers are interested in. This content shouldn’t be focused on hawking your company’s products and, in fact, should probably not even mention them. Instead, it should focus on developing POV-focused content that your consumers will find interesting, engaging, illuminating, valuable and inspiring. Customers like companies with values, but they won’t appreciate a company that takes the world to task on every detail. This simply comes off as combativeness, which is not a great trait for a company. Be passionate but pick your battles. Aim for being engaging and inspiring rather than petty and inflammatory. Consumers will value intelligence over insistence. If you shout your POV out to the web and nobody is around to hear it, did it still happen? Like most things, a POV is pretty useless if it isn’t properly disseminated and packaged in order to be as shareable and social as possible. Focus your efforts on creating POV content that encapsulates your company’s philosophy and values but also benefits your customers and makes it something they will want to share with their friends. This is the best way to spread word about your company’s values and, when done correctly, can be an effective way to draw new customers. A phony POV is about as obvious as having a cut-rate nose job and, trust us, people are going to notice. For this reason, it’s important to approach your POV from a place of authenticity and, also, to participate authentically throughout the course of engaging with your POV. Find out where people are talking about the things your company is interested in and then get in on the conversation. Talk to consumers, comment on their thoughts, respond to debates and create content that addresses current issues from your own unique POV. Consumers appreciate authenticity and putting your most authentic face forward will win you great business. According to Marketing Interactions, there are several questions content marketers can ask themselves when addressing their POV content. Does it promote reader interaction? These questions can help companies decide whether or not the content they’re creating is truly POV and can assist them in the process of disseminating high-quality information to their customers. Unlike mass content creation, a POV is a special way of communicating with customers. POV’s are more organic than many defined and rigid content strategies and provide customers with more honest, valuable and helpful information about a company they are interested in purchasing from. When done well, a great POV can draw new customers in and provoke existing customers to spread the word and remain loyal for many years. All strong companies develop an easily identifiable POV that is unique to their business and helps brand them, allowing them to stand out in the market. Additionally, a POV is an ideal way for companies to live in the important place where their brand and products intersect with the community at large. Chances are, your customers want to know. This is by far the most valuable component of developing a company POV: allowing customers to glance inside and see exactly what truly makes your company tick. When a company is willing to wear its values on its sleeve, it has a high chance of bringing in new customers and making a name for itself in an increasingly competitive and saturated world. About the Author: Julia McCoy is a self-taught copywriter and Internet marketer who founded Express Writers at 19 years old. Today, it’s a full-size copywriting team providing agencies and businesses of all sizes with high quality content. Subscribe to her blog to learn insider tips and news on blogging, web content and all things copywriting. Follow Julia on Twitter.